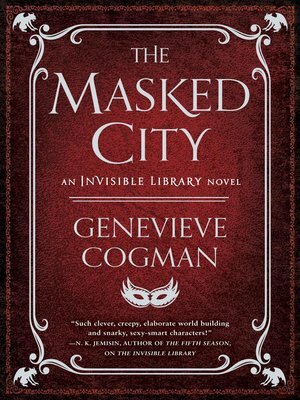 Librarian-spy Irene and her apprentice Kai are back in the second in this "dazzling"* book-filled fantasy series from the author of The Invisible Library. Kai's abduction could incite a conflict between the forces of chaos and order that would devastate all worlds and all dimensions. To keep humanity from getting caught in the crossfire, Irene will have to team up with a local Fae leader to travel deep into a version of Venice filled with dark magic, strange coincidences, and a perpetual celebration of Carnival—and save her friend before he becomes the first casualty of a catastrophic war.